With the aim to sequentially determine optimal allocations across a set of assets, Online Portfolio Selection (OLPS) has significantly reshaped the financial investment landscape. 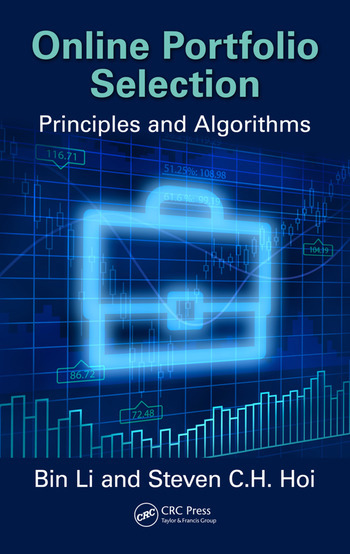 Online Portfolio Selection: Principles and Algorithms supplies a comprehensive survey of existing OLPS principles and presents a collection of innovative strategies that leverage machine learning techniques for financial investment. 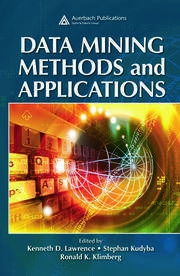 Complete with a back-test system that uses historical data to evaluate the performance of trading strategies, as well as MATLAB® code for the back-test systems, this book is an ideal resource for graduate students in finance, computer science, and statistics. It is also suitable for researchers and engineers interested in computational investment. Readers are encouraged to visit the authors’ website for updates: http://olps.stevenhoi.org. What Is Online Portfolio Selection? Dr. Bin Li received a bachelor’s degree in computer science from Huazhong University of Science and Technology, Wuhan, China, and a bachelor’s degree in economics from Wuhan University, Wuhan, China, in 2006. He earned a PhD degree from the School of Computer Engineering of Nanyang Technological University, Singapore, in 2013. He completed the CFA Program in 2013 and is currently an associate professor of finance at the Economics and Management School of Wuhan University. Dr. Li was a postdoctoral research fellow at the Nanyang Business School of Nanyang Technological University. His research interests are computational finance and machine learning. He has published several academic papers in premier conferences and journals. Dr. Steven C.H. Hoi received his bachelor’s degree in computer science from Tsinghua University, Beijing, China, in 2002, and both his master’s and PhD degrees in computer science and engineering from The Chinese University of Hong Kong, Hong Kong, China, in 2004 and 2006, respectively. He is currently an associate professor in the School of Information Systems, Singapore Management University, Singapore. Prior to joining SMU, he was a tenured associate professor in the School of Computer Engineering, Nanyang Technological University, Singapore. His research interests are machine learning and data mining and their applications to tackle real-world big data challenges across varied domains, including computational finance, multimedia information retrieval, social media, web search and data mining, computer vision and pattern recognition, and so on. "Ever since access to financial data, storage capacity, and computing power stopped acting as barriers to entry, institutional-quality asset allocation solutions have become widely available to individual investors and financial advisors. Coupled with easy access to inexpensive building blocks like Exchange-Traded Funds, this dynamic has brought the spectre of digital disruption to the asset management industry. In Online Portfolio Selection, Li and Hoi do an excellent job explaining what’s actually under the hood of the "robo-advisor" applications. Unlike many books on related financial technology subjects, they don’t leave the reader with only high-level rhetoric on machine learning and financial technology, but instead roll up their sleeves and delve into the nuts and bolts of the various algorithms that power this irreversible trend. A must-read." 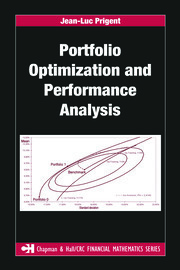 "This is an excellent book showing a comprehensive menu of state-of-the-art online machine-learning algorithms in online portfolio selection and trading. It explains clearly how different algorithms can perform based on data-driven patterns that are exploited using intensive computational methods. 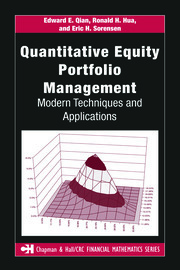 It is a must-read for serious quantitative traders."